California business owner / property owner liable for dangerous condition caused by employee, & it does not matter if the owner knew about it. Inevitably, a property or business owner has a problem when someone injures themself at their premises. 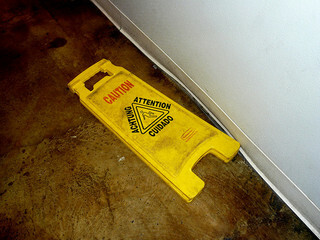 The ordinary slip and fall involves a dangerous condition which causes someone to fall and hurt themselves. Usually, the property owner must have actual or constructive knowledge of the dangerous condition before they can be held liable for the injury. Sacramento business and real estate attorneys advise their clients that “Constructive knowledge” is what the prudent property owner should have known. The owner may not have knowledge of everything about the property, but a Sacramento business owner was recently surprised by a dangerous condition that may have been created by an employee. In Getchell v Rogers Jewelry, the plaintiff was a jewelry repairman who worked as an independent contractor at the defendant jewelry store in Arden Fair Mall. (This made the repairman a “business invitee” as opposed to an employee or customer). He was in the break room of the store (for employees and business invitees only) and slipped and fell when he stepped on a puddle of jewelry cleaning solution. The solution was kept in a five gallon bucket. There was no evidence that the bucket leaked. The only people with access to the cleaning solution and who could or would have used it were the store’s employees. The defendant business and its employees had exclusive control over the break room and the bucket of solution. The trial court ruled on summary judgment for the defendant jewelry store, finding that the plaintiff had established that the store owner had actual or constructive notice of a dangerous condition. The court of appeals disagreed. It noted that this was not a ordinary slip and fall- the answer turns on whether the dangerous condition was created by the negligence of an employee of the store. Such cases are governed by the doctrine of respondeat superior- the employer answers for the actions of employees, and is presumed to have notice of what the employees know. Here, the evidence shows that a reasonable inference can be drawn that the condition was created by employees of the defendant, and that the defendant is then held to know what the employee knows about the dangerous condition. If the employee was acting within the scope of their employment (doing their job) the owner cannot claim that he had no notice of the dangerous condition. Because this decision was on a summary judgment, it will go back to the trial court for trial. It points out a distinction regarding dangerous conditions. 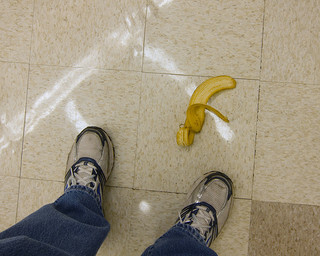 If the condition is something that could have been caused by anyone, public included, such as spilled soda or a banana peel, the owner must have notice of the dangerous condition. However, if it could be reasonably inferred that the condition could only have been created by an employee of the owner, the owner is charged with knowledge of the condition, and may be liable. Property owners concerned about premises liability should consult with their attorney.